So, I write 3 posts, then disappear. Great start for a blog, eh? 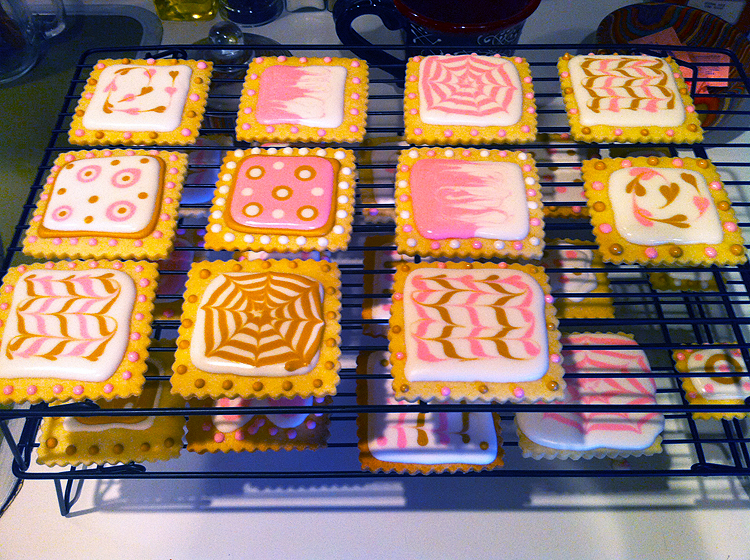 Since my health has been keeping me from playing in the kitchen, and since I didn’t have this blog when I started decorating cookies back in September, I decided to do a flash-back of my prior attempts at sugary art. (Plus, this will give me something else to look back and laugh at years from now. One can never have enough of those logged away). It all started when I stumbled across a website – Bake at 350. There was a guest post by a woman named Marian (who I later learned is Sweetopia to the rest of the world) about marbeling sugar cookies. 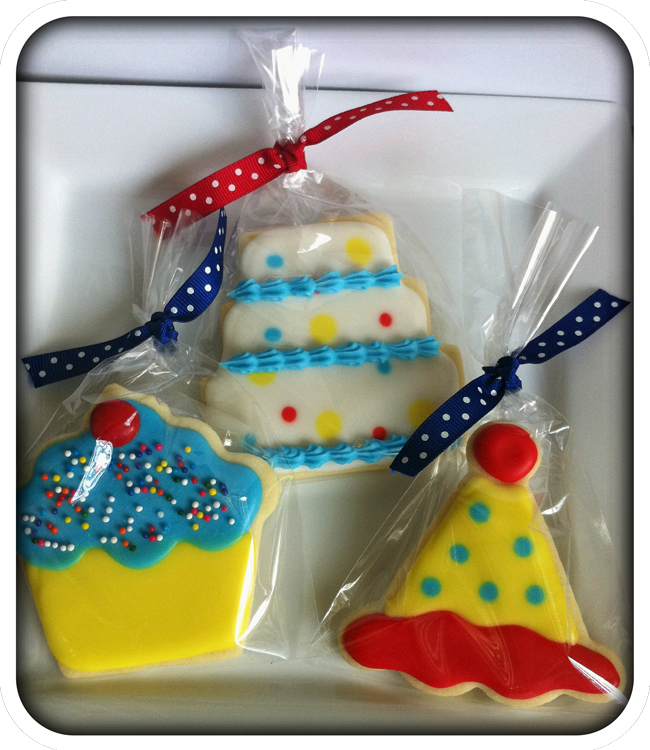 I had been making cakes, cupcakes, truffles – but never tried decorating sugar cookies. But with this post, I was intrigued. I could do that, right? As I looked through their sites further, I realized that it was something that had to be done. 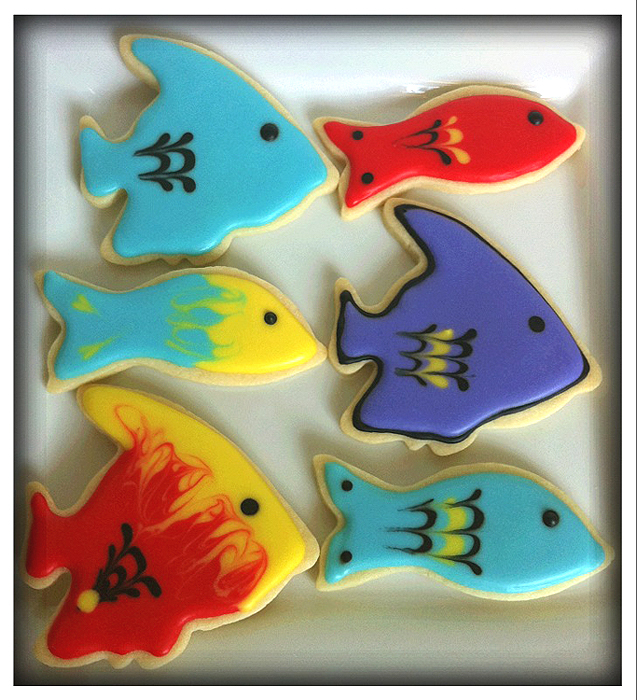 I had to decorate sugar cookies. Some of them look better than others (my friend said they look like fancy pop tarts), but I was hooked. Not the greatest in the world, but she was really happy with them. And I was hooked! 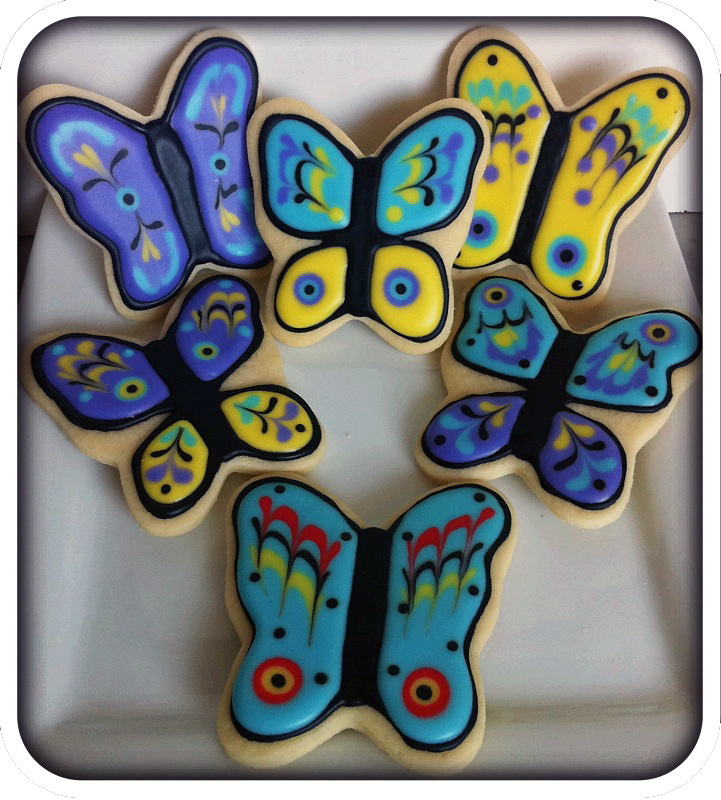 I saw some butterflies on Sweetopia’s site, so naturally, I had to try those. So I bought more cutters. 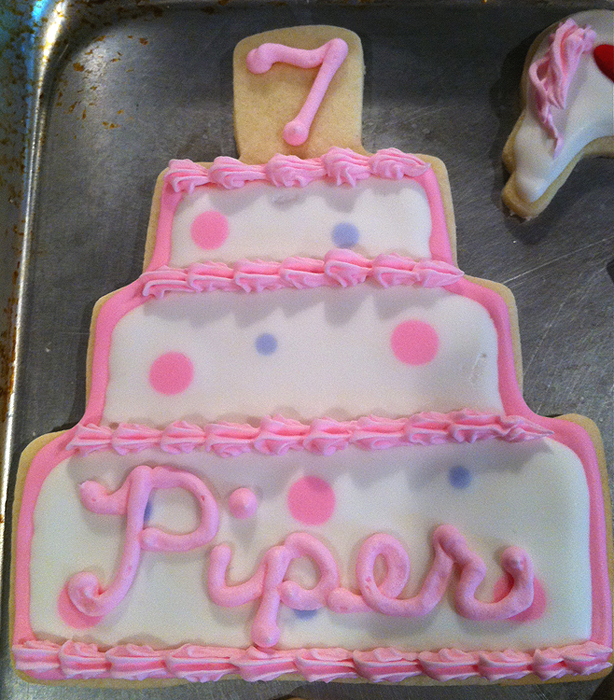 I posted all of my cookies on Facebook, and my girlfriend said that her daughter was turning 7 and would be having a small party at her school. She had seen my cookies on FB and wanted me to make some for her daughter’s party. Unicorns. Pink and Purple. (Of course) So, I bought more cutters. Next came Thanksgiving, which again – more cutters. I used this holiday as an excuse to play around with different cookie flavors. 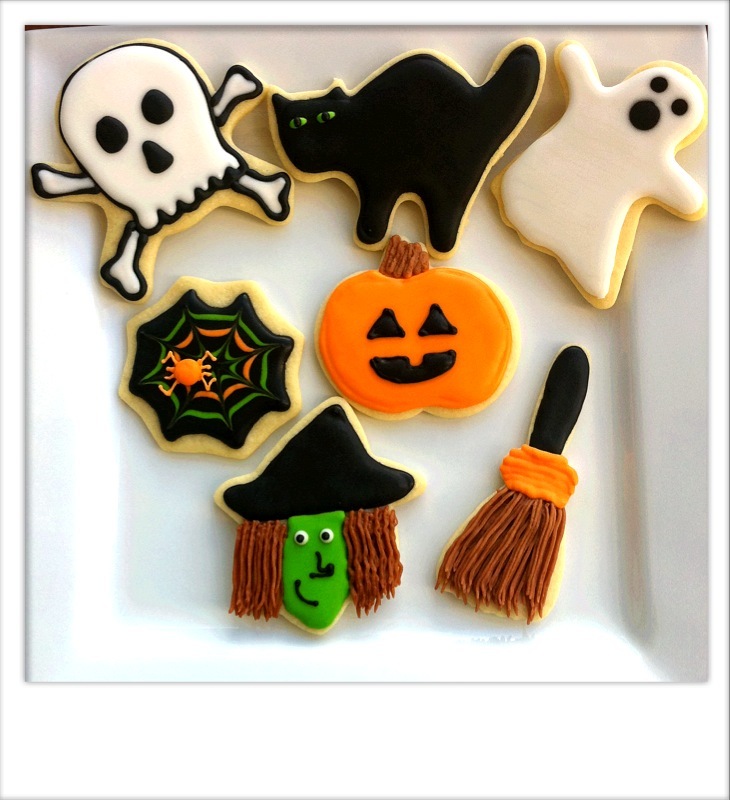 I used the chocolate and spice cutout recipes from Bake at 350. The spice was a nice addition to the regular ones for fall. But the chocolate ones stole the show. And the design for the turkey is also from Bake at 350. 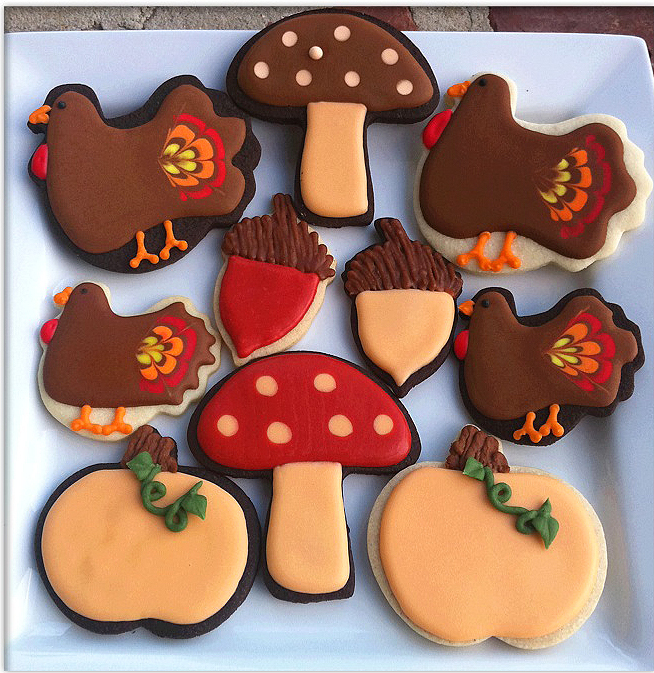 I saw a lot of different turkey cookies, but I thought hers were the perfect mix of fun and realistic. Well, thank you if you’ve made it this far. 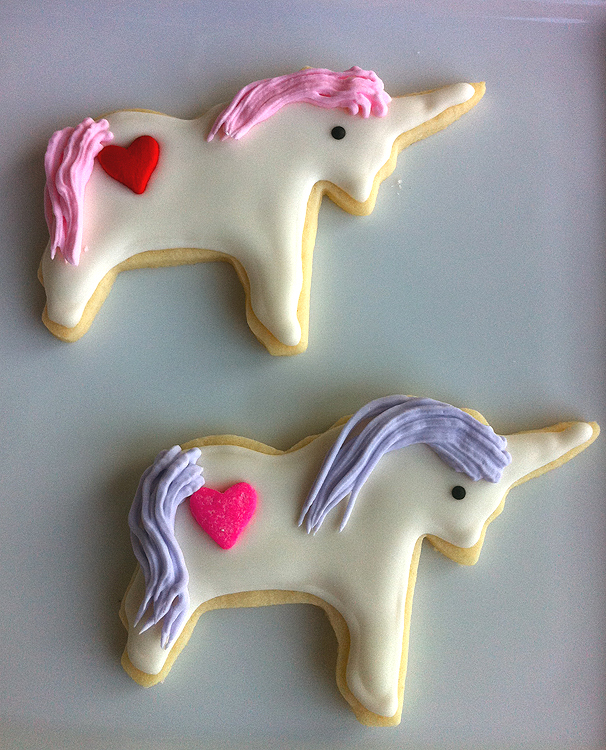 I really do love decorating cookies. And I’m starting to think there is no longer a cookie cutter I don’t own. (It’s amazing how many you can acquire in such a short amount of time). Now what to make for Valentine’s Day? I think I need a new cutter. 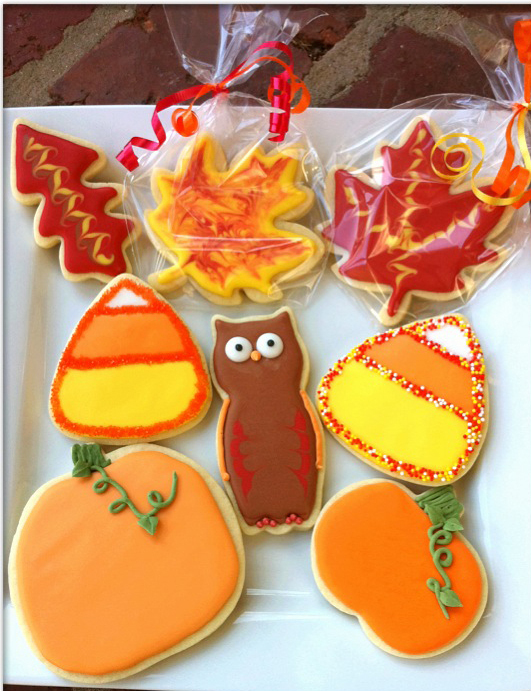 I think your cookies are fantastic and given that you have only been decorating sugar cookies since September it would appear that you have a natural talent for it. It is so addictive isn’t it? Once you start you can’t stop! 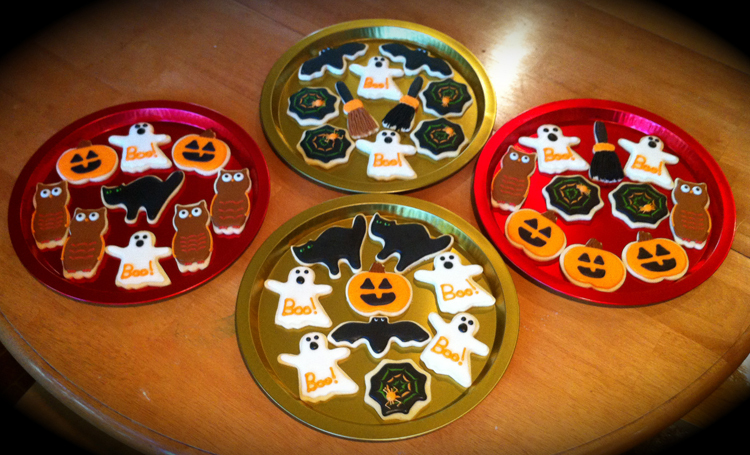 I too was inspired to decorated sugar cookies by the beautiful work I saw from Bridget’s blog. Thanks again for checking it out.